Once again fantastic transaction. Beautiful plants shipped quickly and arrived in good condition. Plus a bonus! Awesome! I am very happy to hear that. Hope you enjoy the bonus too! Got some great Buce and Anubias from junglefowl, plus a freebie. Thanks! This time around I got a couple Anubias nana "petite" (got more than I was expecting), a clump of Buce sp. Hades, and a Buce sp. Royal Blue. I was very satisfied with the order and I'll turn to Junglefowl anytime I need Buce or Anubias. Thanks! I bought from him again! 3rd purchase and still very pleased with my plants. Thanks guy for the kind words! I'll try my best every time to pack your order. I will have more Buce available next week. 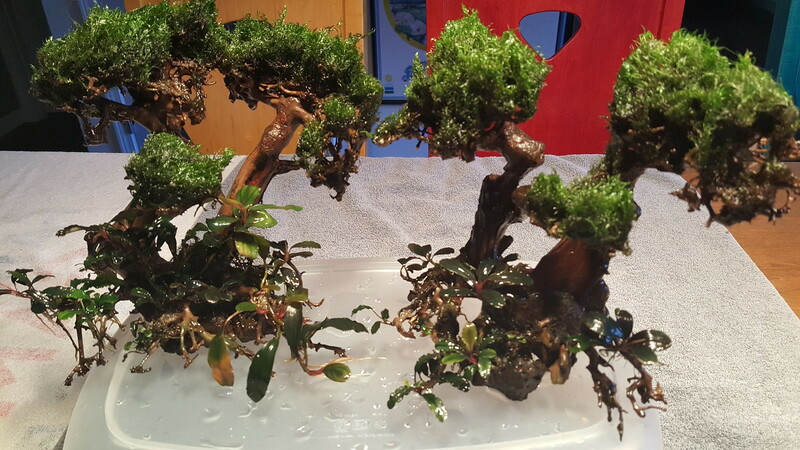 I also have many Bonsai Driftwood available so if you or someone are interested, let me know.